I’ve recently been in love with some watercolor art lately, and thought I’d try my hand at it with this print. I’ve made them in two different sizes, 8×10 and 5×7. Its the perfect way to show some love this Valentine’s Day. 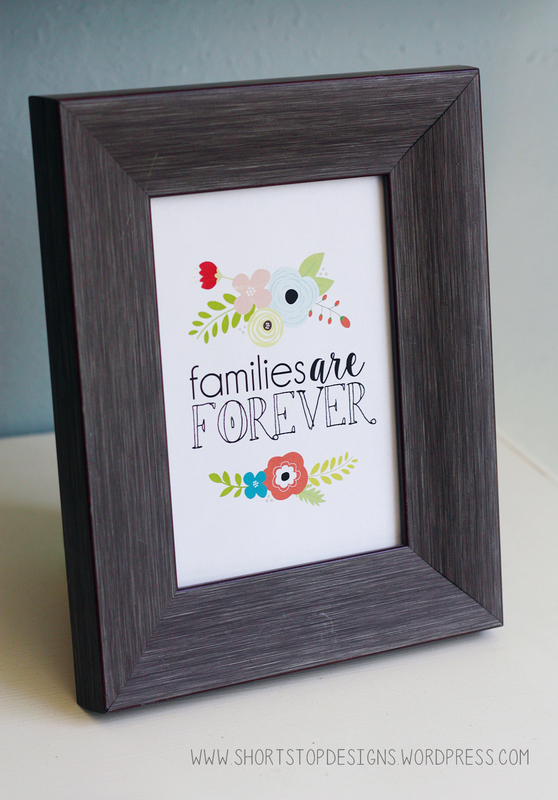 Pick out a fun frame to stick this print in or spray paint an old frame into a gold one for some elegance. I’m keeping with a theme this week. First it was these cute Mini Valentine’s Day Donuts, then I did a guest post for the girls over at Eighteen25 with a Valentines Donut Printable (which I’m super excited about! ), and now I’m finishing the week with this fun Valentine’s Day Donut Banner! My husband and I just bought our first house and we’ve been living in it for 2 months now. We absolutely love the place, especially since we didn’t even see the house in person – that was super lucky! I do not recommend it! The house is a little outdated, in some areas but it’s something we can live with. One of those places is the fireplace. I will say this, one of the best features about our fireplace is that it’s gas burning and we love having moving nights snuggled in front of it. The eyesore of the fireplace, for me at least, is everything surrounding it… there isn’t much of a “fancy mantel” and hopefully one day we’ll be able to change that. Grab your Valentine’s Day Donut Banner here. It has been crazy these past few months. We moved into our new home, I worked full time for the holiday season, and celebrated our youngest’s 2nd birthday. Now it’s time to get back to working on this little blog of mine. We’re getting pretty excited for Valentine’s Day at our house. So yesterday, I decided to do something fun with my kids while dad was out of the house. These mini Valentine’s Day donuts are so easy to put together, my kids understood what to do pretty quickly, and they’re 5 (almost) and 2. The best part, you only need 3 ingredients! Dip your donut into a bowl of melted candy chocolate. 2. Let any extra candy melts drizzle off of your donut and set on a cooling rack. 3. Grab your favorite sprinkles (look how cute those hands are! I know this picture is pretty much unnecessary but it was too cute not to share). 4. Sprinkle your hearts desire on your donut. 5. Let your donuts sit and dry off for a little bit until the chocolate has hardened. And you’re all done! 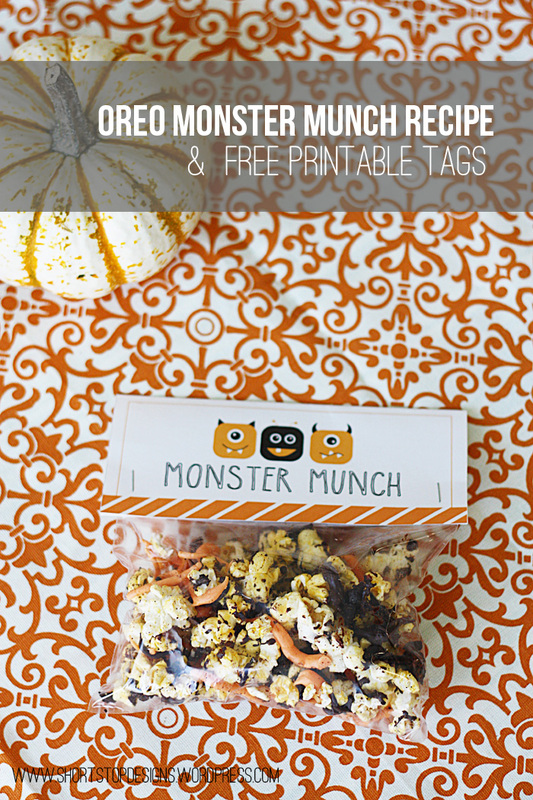 Super easy and great to do with your kids. The only downside is the clean up. Like I predicted, the sprinkles got everywhere, but it was totally worth having them do something that didn’t involve sitting in front of the TV or iPad! What a perfect gift to give away for Valentine’s Day too! 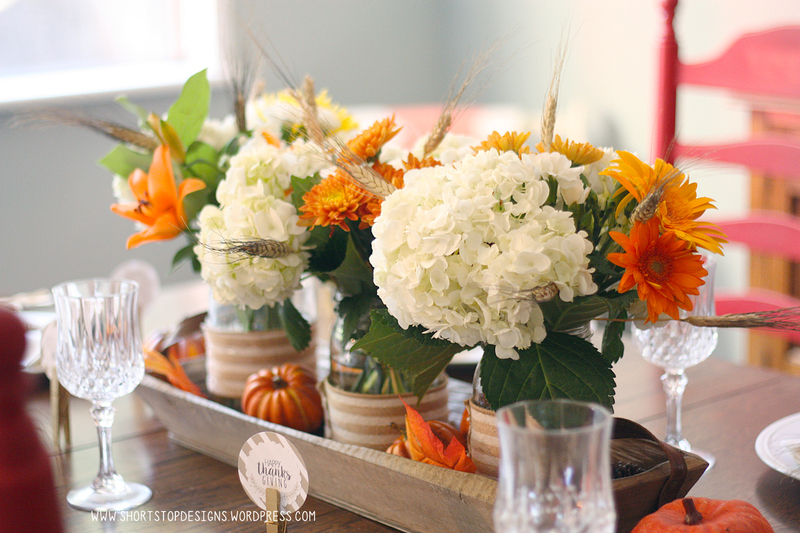 With fall in the air, I was inspired to create a fall centerpiece using simple decor after coming across the online flower delivery company, BloomNation. Because I had taken a couple of floral arranging classes back in college I thought this would be the perfect opportunity to try my hand at floral arranging again. I was never good at it, and I’m still no where close to a professional, but it was obviously one of the classes I enjoyed going to most. 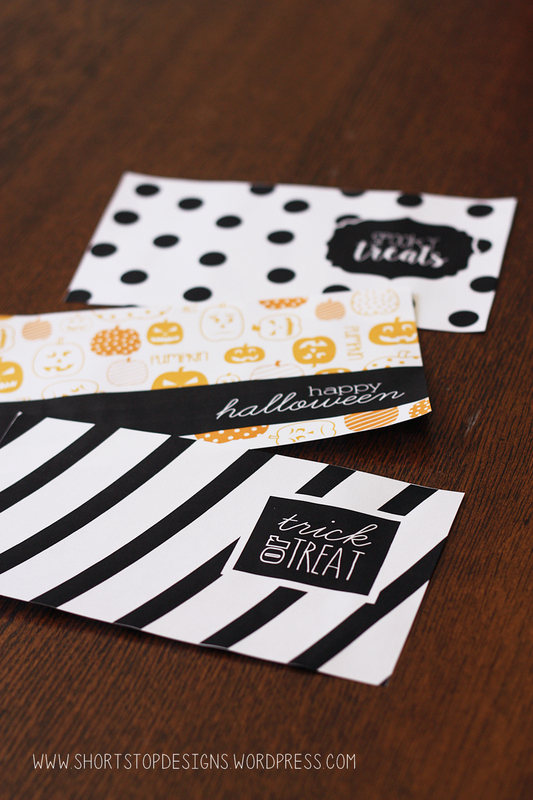 It was fun, and on few occasions a little stressful trying to come up with something that looked good. I was always so impressed with what my classmates’ arrangements, and how different ours were from each other when given a specific assignment. 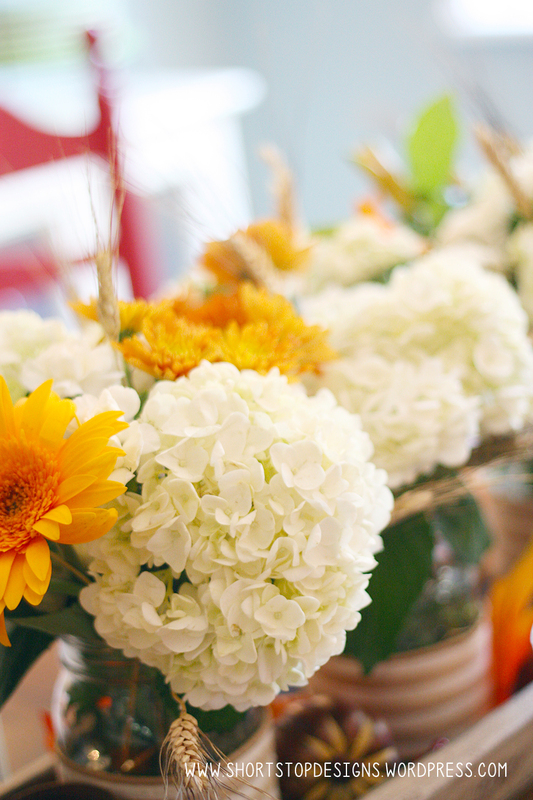 You can create so many different arrangements, and the best part about flowers is, it will (for the most part) always end up looking beautiful. One of my favorite flowers are hydrangeas, so when I saw it in the shop I immediately knew I had to use it. 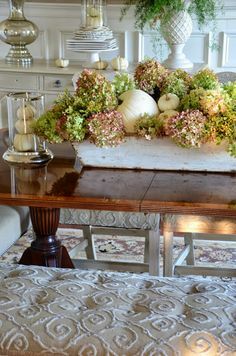 I always thought of it as a spring/summer flower, and quickly turned to Pinterest to see if I could use hydrangeas in a fall arrangement. 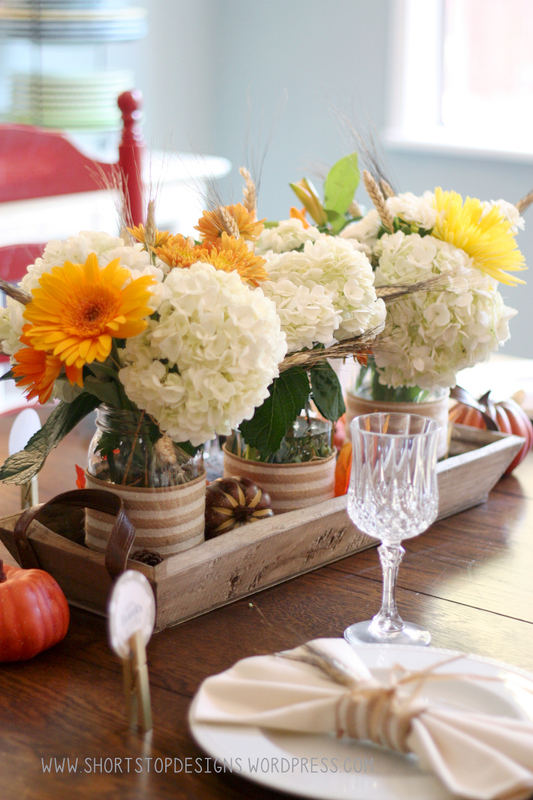 And to my surprise, I found a bunch of beautiful fall ideas using hydrangeas. 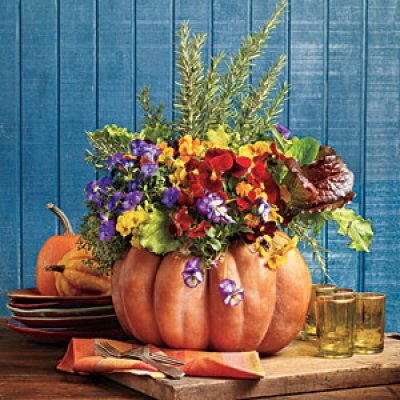 I knew I wanted to make my centerpiece pretty neutral in color, but wanted to add a few fall colors to the arrangement without making it look overly colorful. 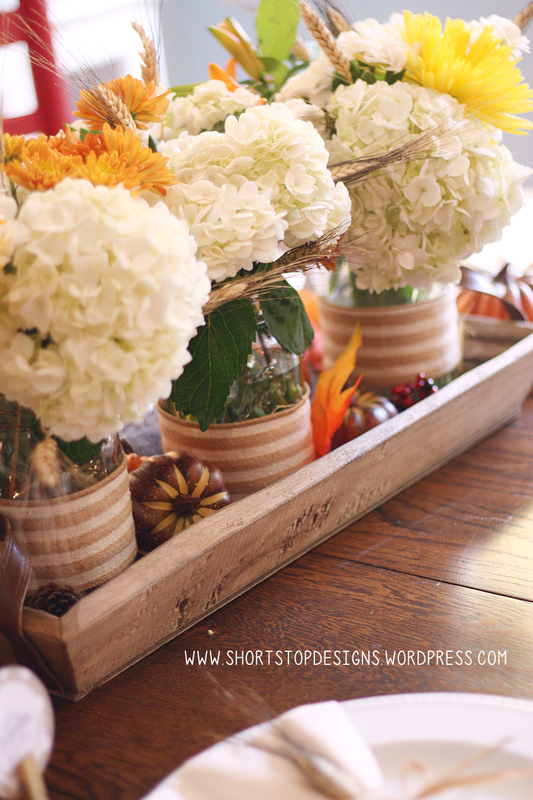 Aside from hydrangeas, I used daisies, mums, carnations, lilies, and added some wheat to give it a little bit more of a fall/Thanksgiving appeal. 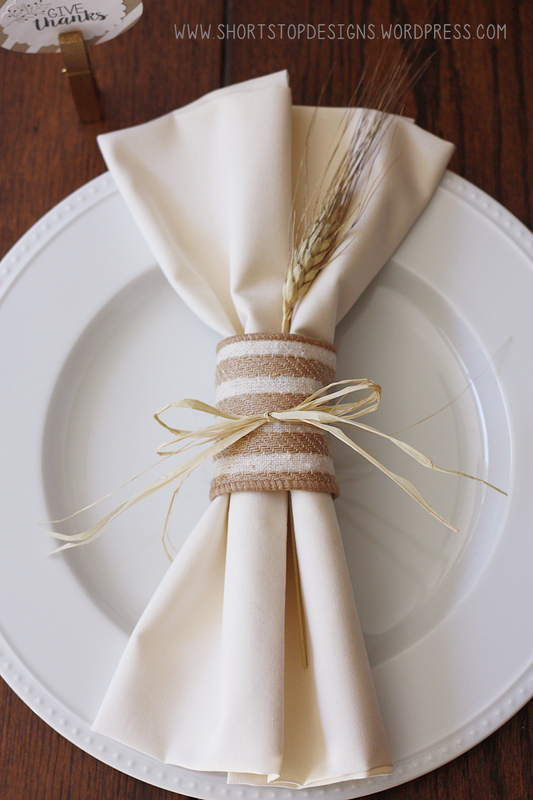 I added some of the wheat to the napkins, and used a striped burlap ribbon to wrap around the napkins and mason jars. 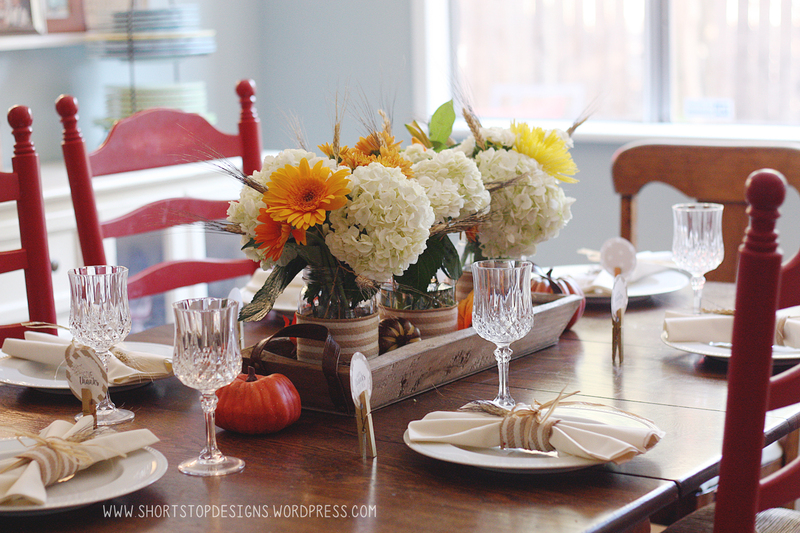 This was such a simple and easy table to put together, and not to mention, great for a small budget! 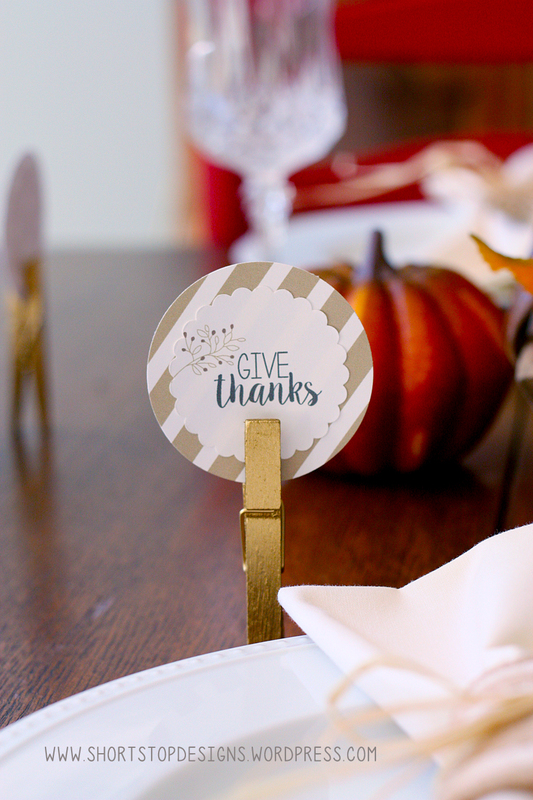 I’m also sharing these fun Thanksgiving tags that you can incorporate on your table by wrapping it around your napkins and holding it in place with string or raffia, add them to a treat bag, or on a take home box for your guests on Thanksgiving. 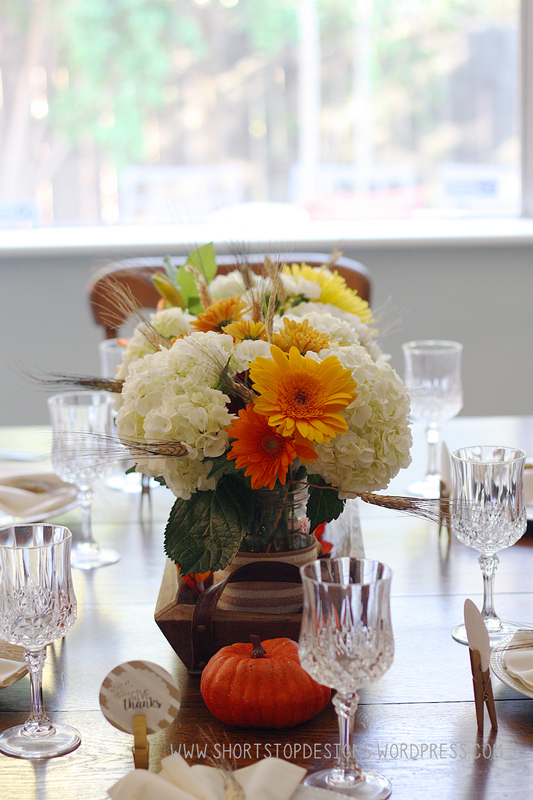 If you’re not feeling confident in your flower arranging ability, or don’t have the time to make one yourself, try using a flower delivery to save you time and choose from a variety of options to give your table that fall look you’re going for! P.S. 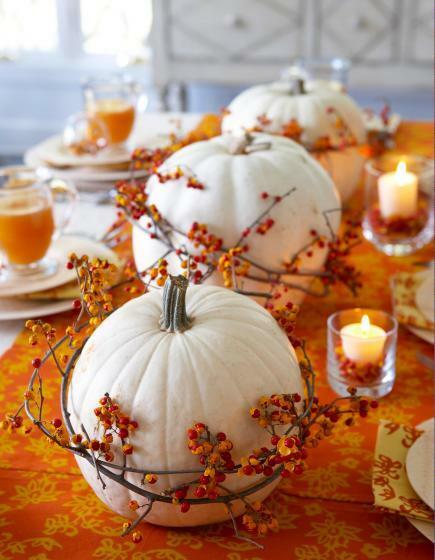 See where I got my inspiration for this centerpiece on my Pinterest board. Yellow shirt. We got ours from Crazy8 on sale for $4.99! And, I love that he can just wear it anytime after Halloween is over. Jeans. We already had these so that part was easy peasy! Cowboy vest. I got the materials for $4.20 from Joann’s. Take advantage of their coupons! I used the tutorial for the vest from Simply Crafted. Hat, belt & gun holder were 25% off at the Disney Store, so we paid just under $10 for these items. Badge – you can make your own or just buy yours online at Amazon for $5. 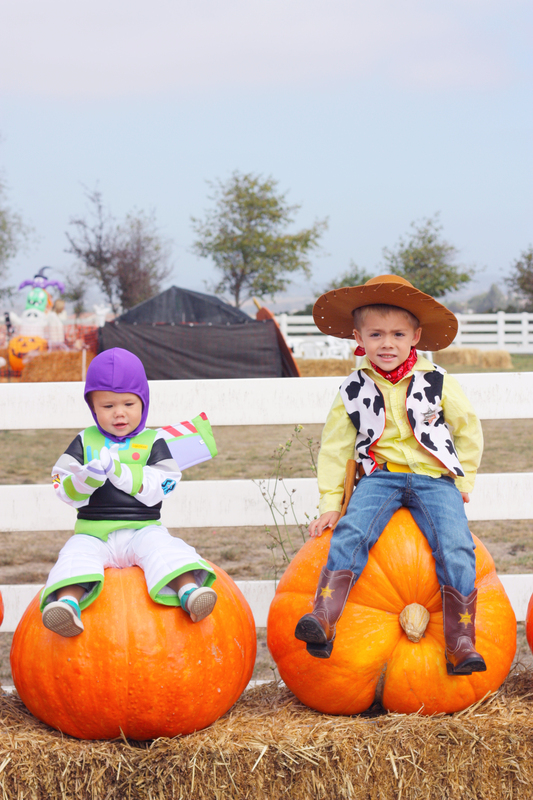 Boots – Ok, these were the most expensive thing we had to buy for this costume, but I could not stand those foam boots they use for costumes, and even though I am not a fan of cow boy boots, we found these really awesome Toy Story boots that light up from Sears for $30. So, if you already own a pair, or can borrow some from a friend/cousin, then this will be the least of your worries. To justify this purchase, he will definitely be putting these to use when he helps out in our backyard with dad. And that’s it! JD had fun going on a hunt for all of these items, and kept us busy on days where we needed to pass the time. 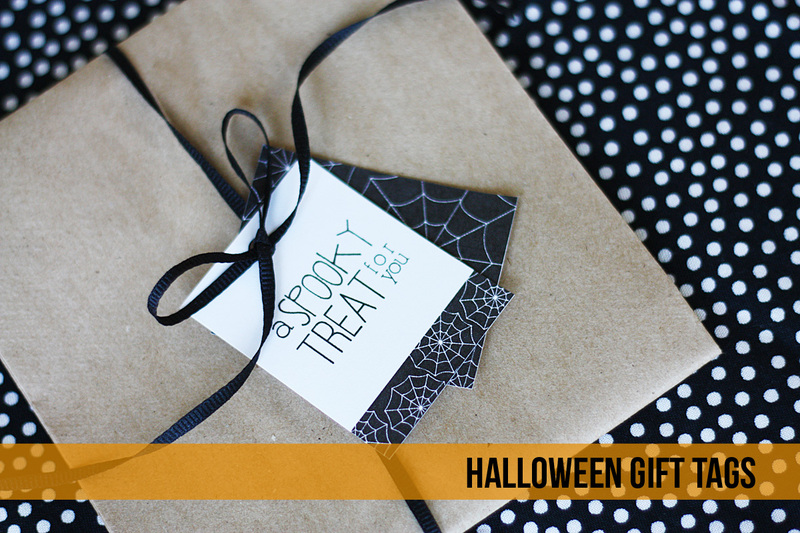 October is a busy and crazy month for us in our home. 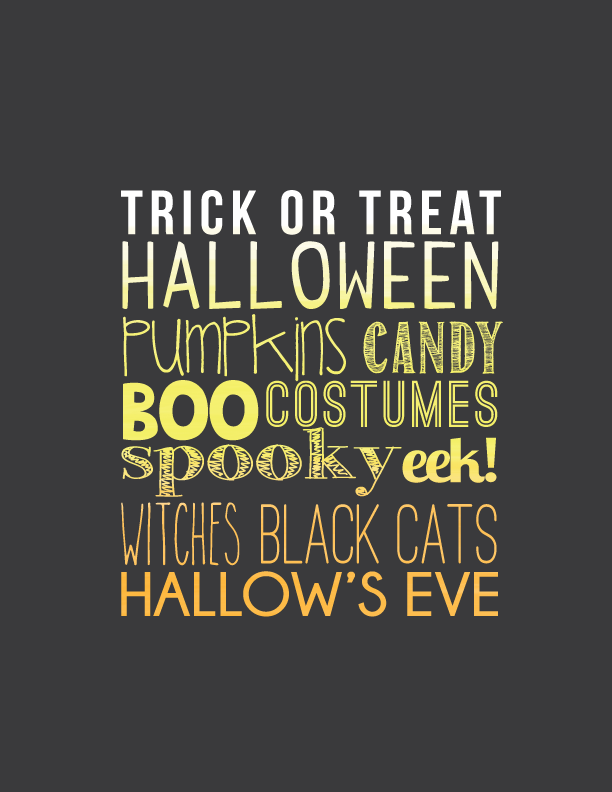 We have 2 more weeks until we are reunited with my husband, 3 1/2 weeks until Disneyland, 4 weeks until we move to Washington, and less than a week after that we celebrate Halloween! 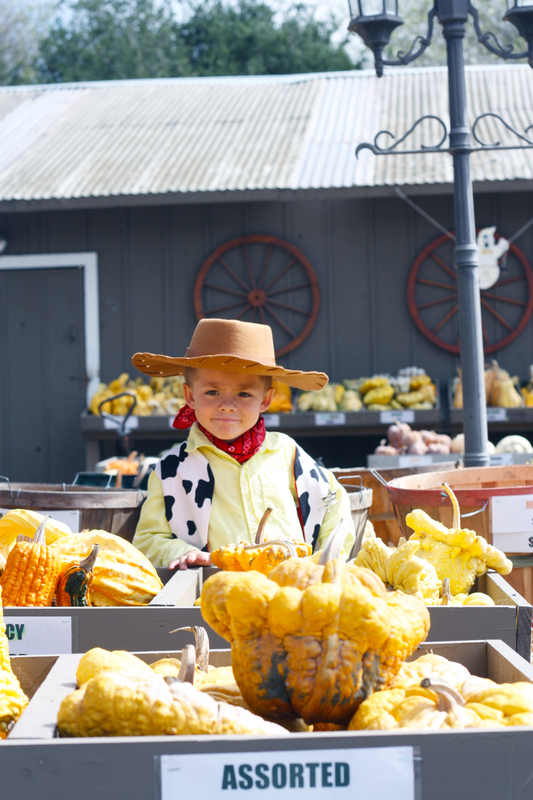 I wasn’t kidding when I said our month was busy… We have so many exciting things happening in the month of October, and JD is such a silly kid, he has to know when everything is happening. Because of this, we have to have countdowns to help him out. 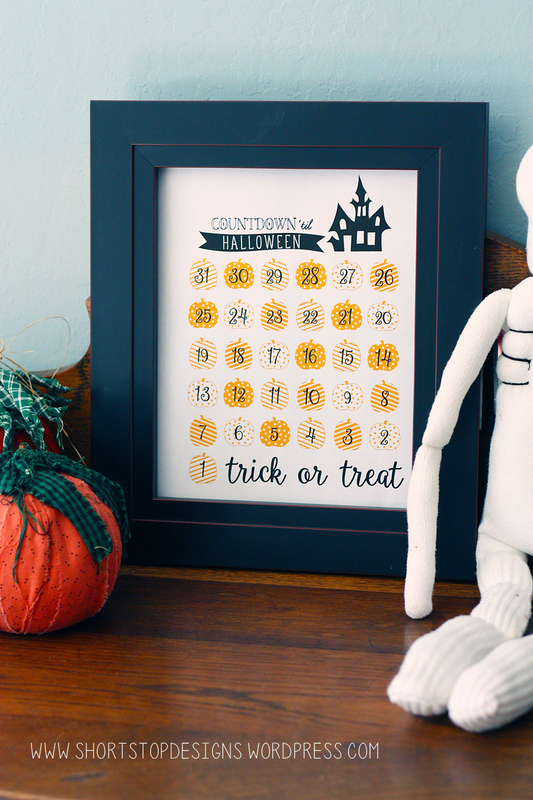 We love countdowns in our house, and now that JD is familiar with his numbers, this is a great way for him to learn addition and subtraction. 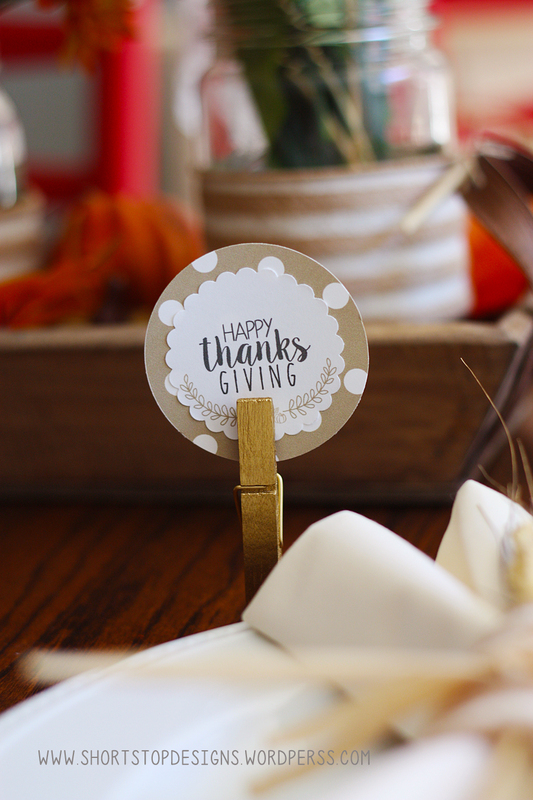 Now, if you’re like me and you just like to cross off days and see how many more days we have left until a certain holiday or big day, then this is just the thing for you. 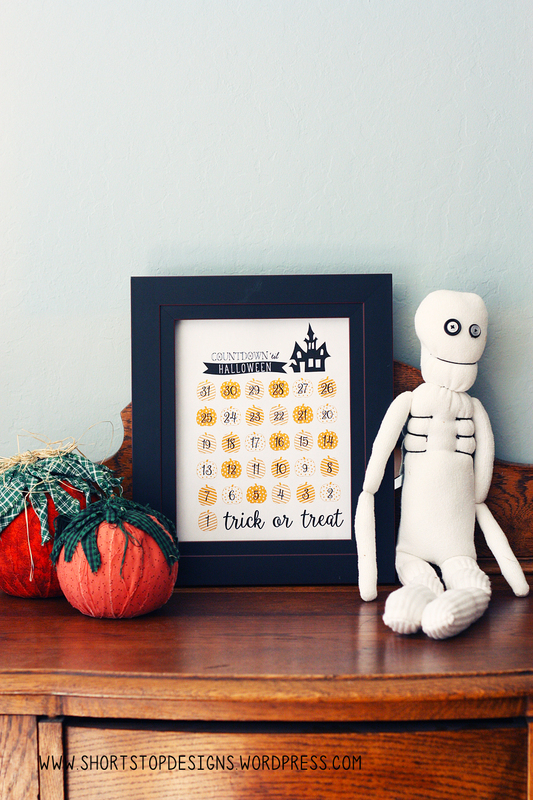 And, if you are in need of some more decorations in your house for Halloween, you’ll enjoy seeing this Halloween Countdown Printable everyday. 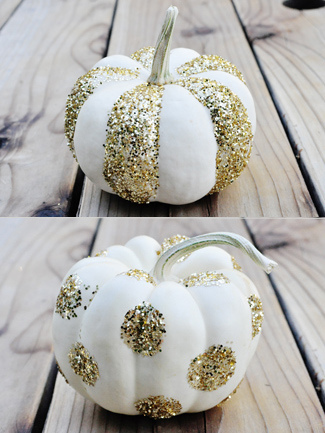 Nothing says fall like pumpkins! 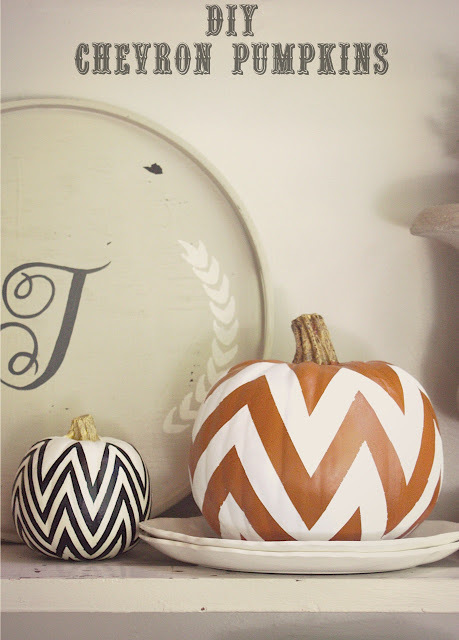 And, if you find the perfect pumpkin patch, pumpkins are a great way to decorate your home for the holidays if you’re on a tight budget. 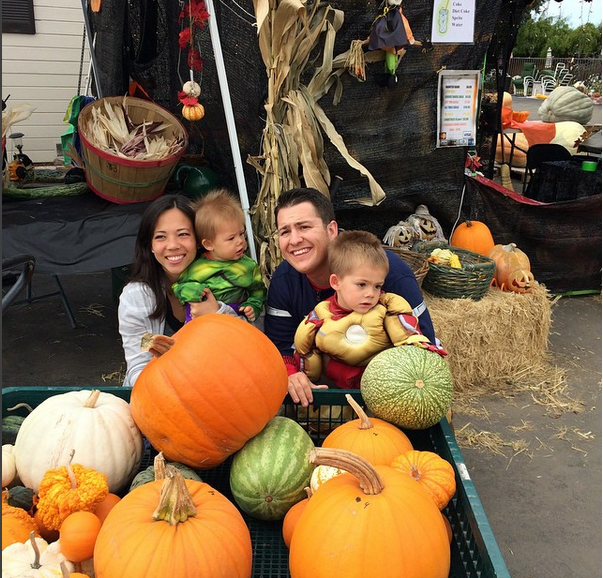 Last year, when we lived in Monterey, there was a family run pumpkin patch called Borchard Farms that sold pumpkins for an unbelievably great price! We took my mother in law with us and she went a little wild and bought a cart full of pumpkins. They had a variety of pumpkins and some pumpkins you don’t see normally. 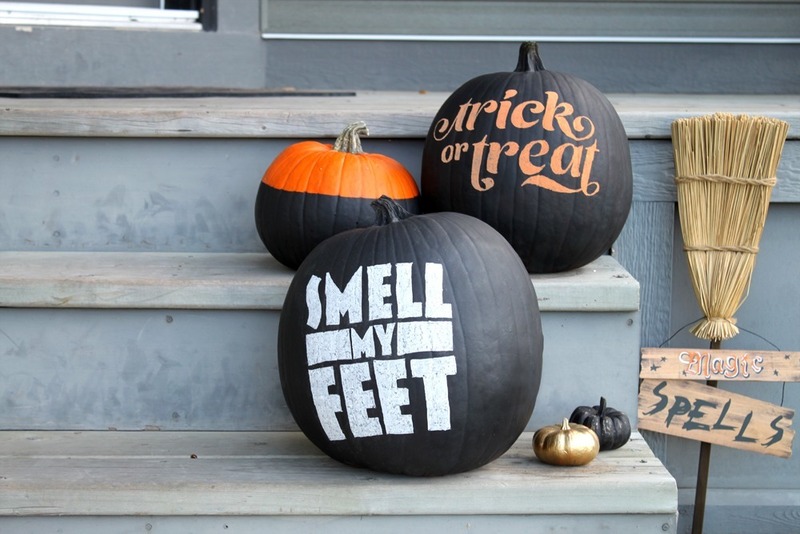 So, if you’re lucky enough to find an affordable pumpkin patch, or just need a new way of decorating pumpkins, here are a few ideas this fall and Halloween. 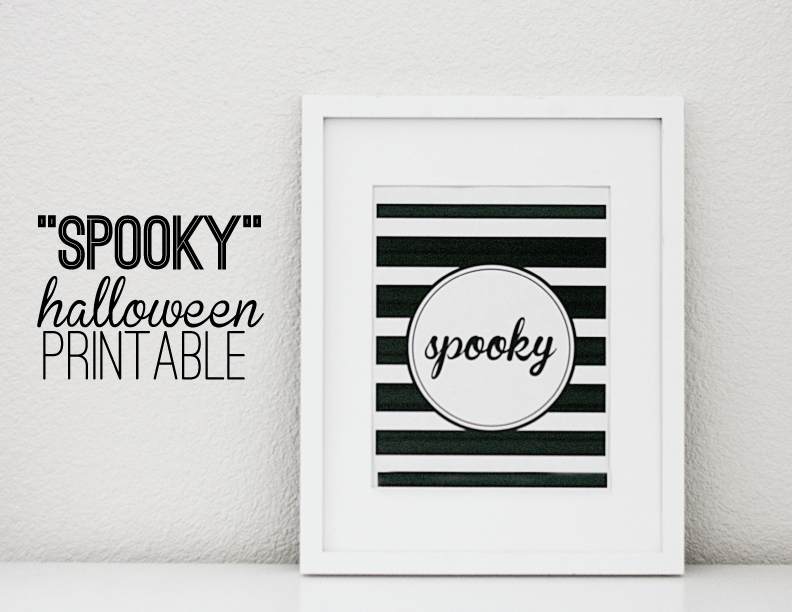 This printable is perfect to hang in your home whether it be surrounded by pictures of your family, or hung up by itself somewhere in your home. 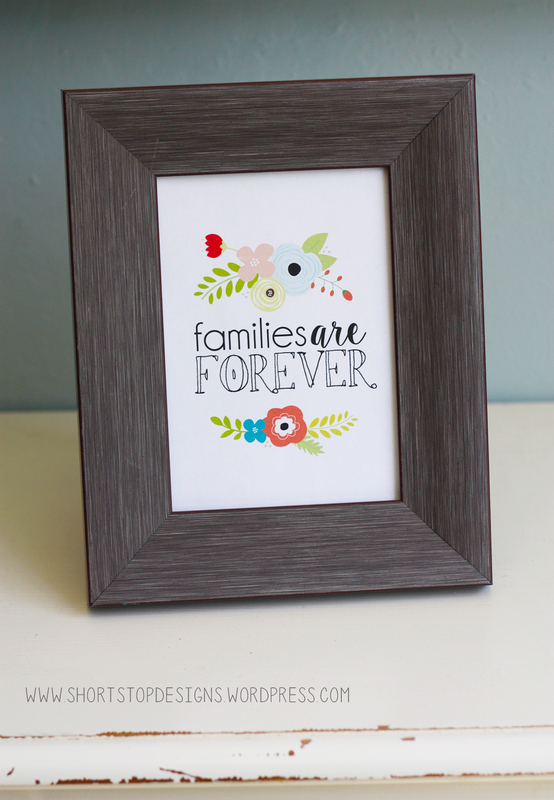 It is the perfect reminder that families are important and a great reminder of what an amazing blessing this is from our Heavenly Father. 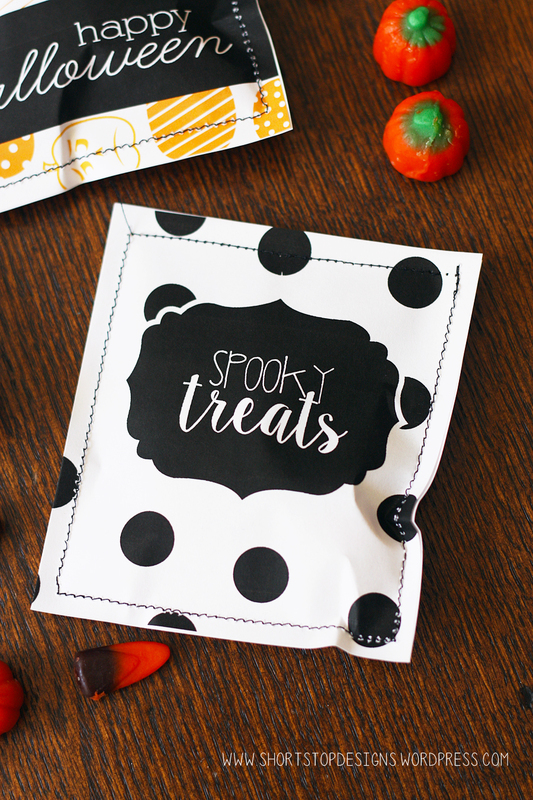 If you are new to this blog and haven’t seen the Halloween printables from last year, you’re going to want to check ’em out and see what you can add to your decor this upcoming holiday. 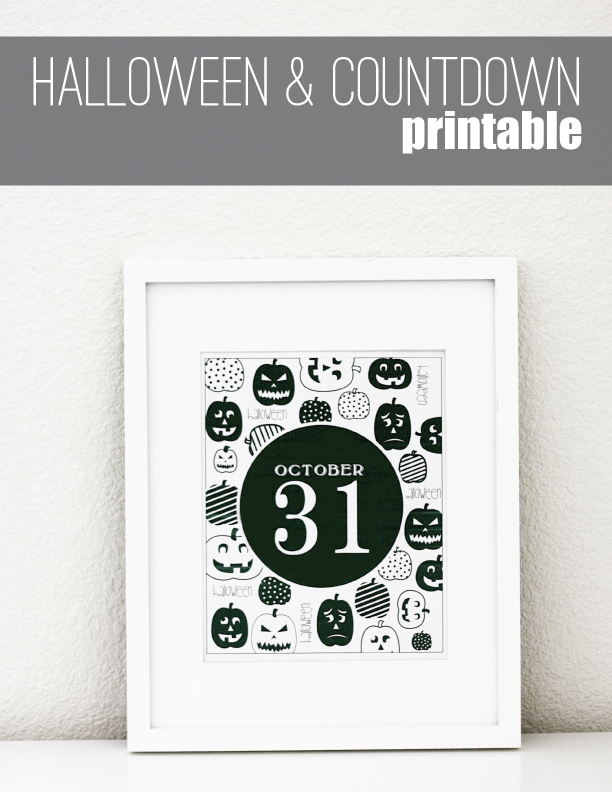 From countdowns, to party decor, there’s lots of fun stuff for you to print off and add to your collection of Halloween goodies. The best part, they’re absolutely FREE! 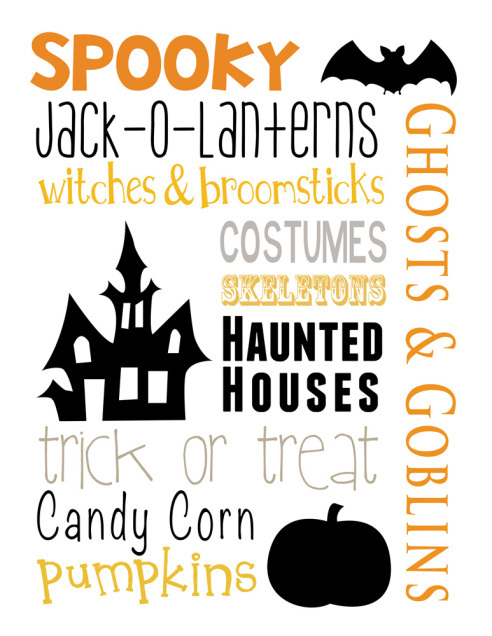 I am so excited for Halloween, and there are a couple of reasons for it. 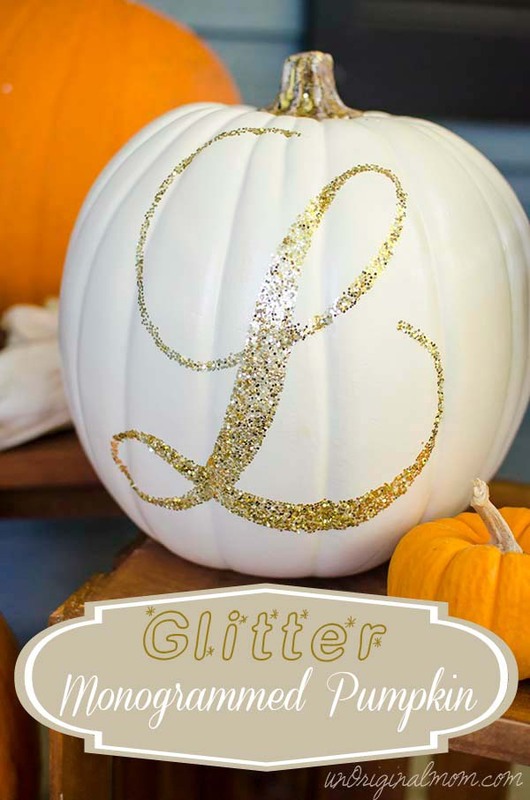 Number one, my husband has been away for army training since the middle of June, and two weeks before Halloween he’ll finally be done and be back home just in time for trick or treating. 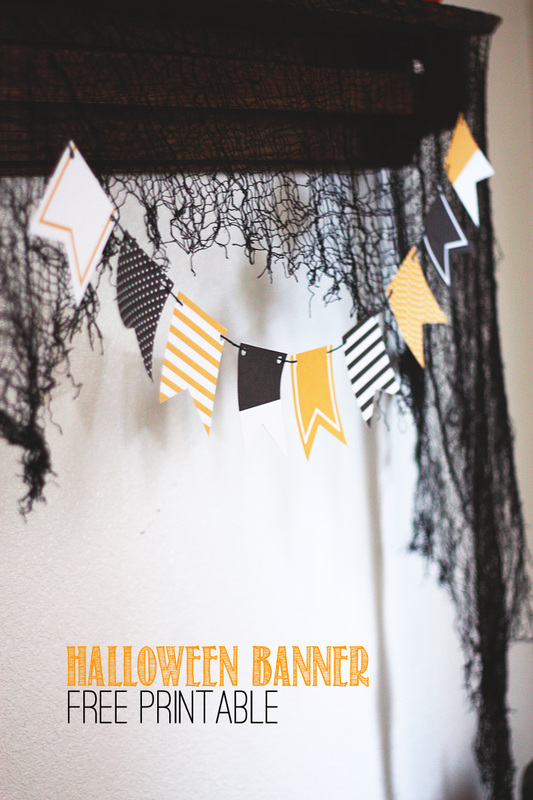 Number two, I’m pretty excited about my kids Halloween costumes this year. 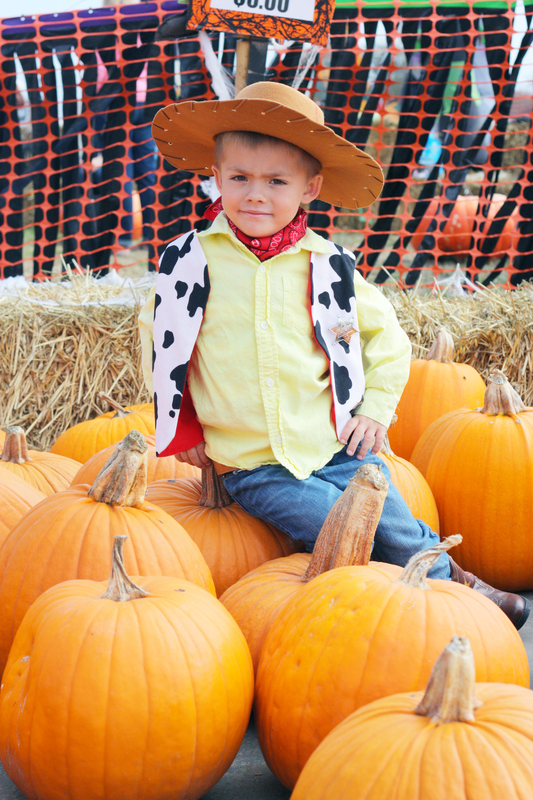 JD is only 4, so it took him a while to finally decide what he was going to be for Halloween. When he said that he wanted to be Woody for Halloween 3 times in a row, I knew he had “made up his mind.” I decided I was going to be ambitious this Halloween and “make” his costume this year! 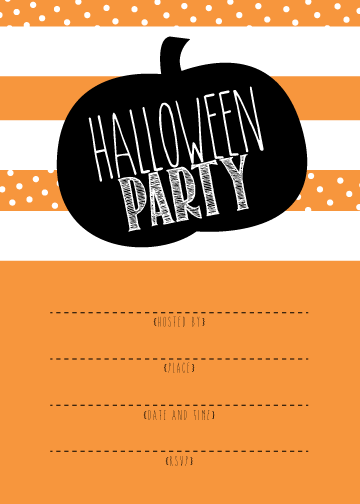 And when I say “make,” I mean pulling stuff together to make a costume, but hopefully not wasting too much money and maybe get to use some of the stuff again after Halloween is over. 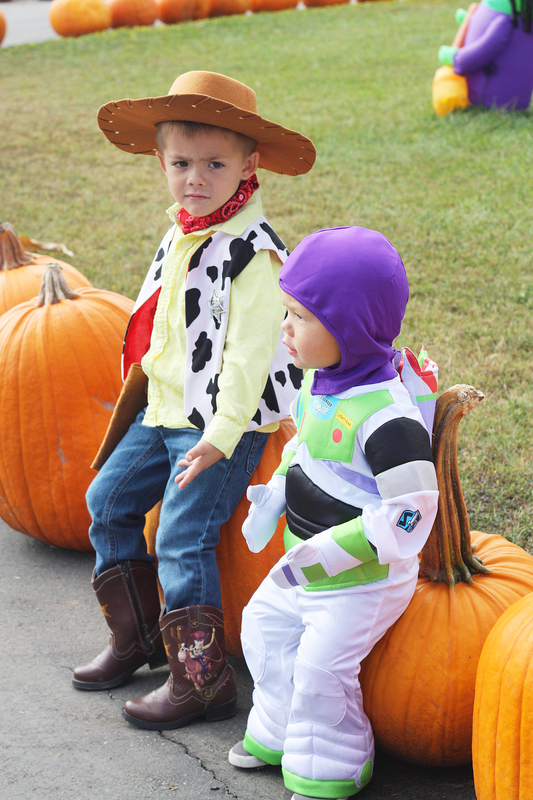 With JD being Woody, Danny who will be 2 in three months (that’s so crazy!) will be Buzz Lighter! They’re going to look so cute together! My husband and I like to dress up too, so I’ll be Jessie and my husband’s thinking of going as Andy. JD and I kept coming up with a few different options for him… but he didn’t like the idea of being a green soldier, Rex, Mr. Potato Head, or the Piggy bank. At least Andy will be easy! 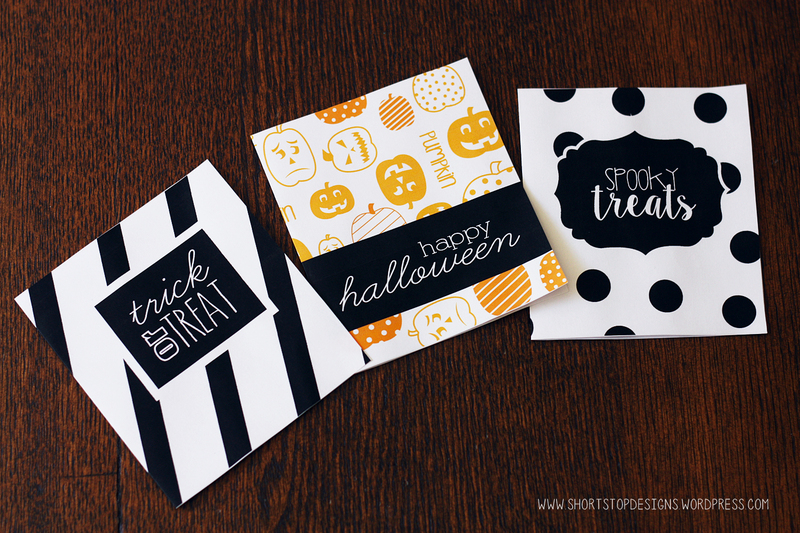 So, with Halloween on my mind, I’m getting a small head start on some Halloween printables. 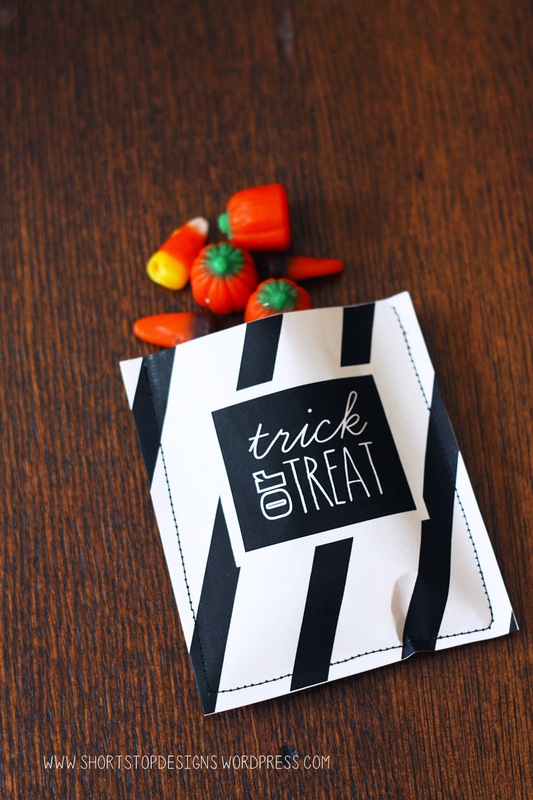 These Halloween Goodie Bags were quick and easy to make, and that’s what I love about them. 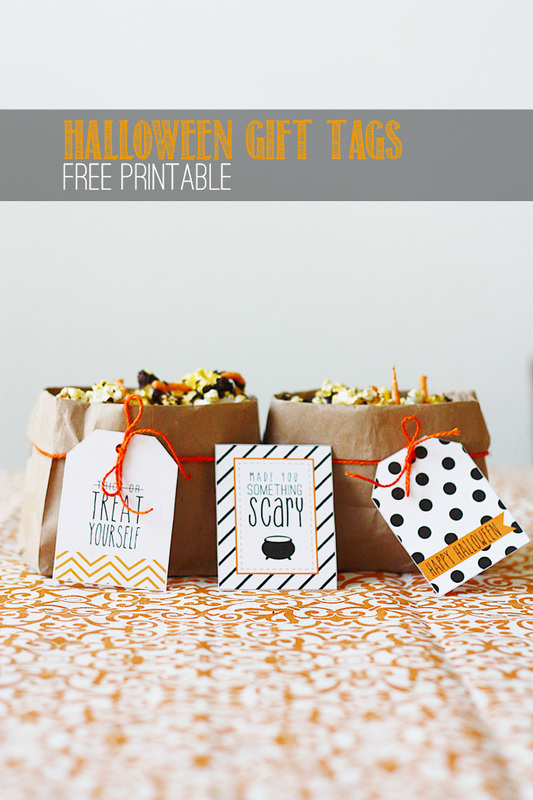 I whipped three goodie bags in less than 10 minutes (that includes printing the printables, cutting, and setting up the sewing machine). 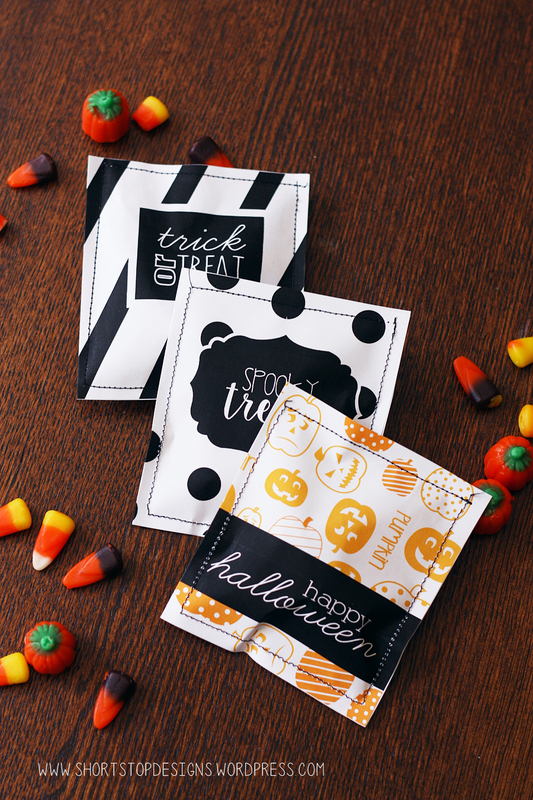 If you’re looking for something fun for your kids to pass out in their classes this Halloween, you’ll definitely be needing these! Fold them in half. 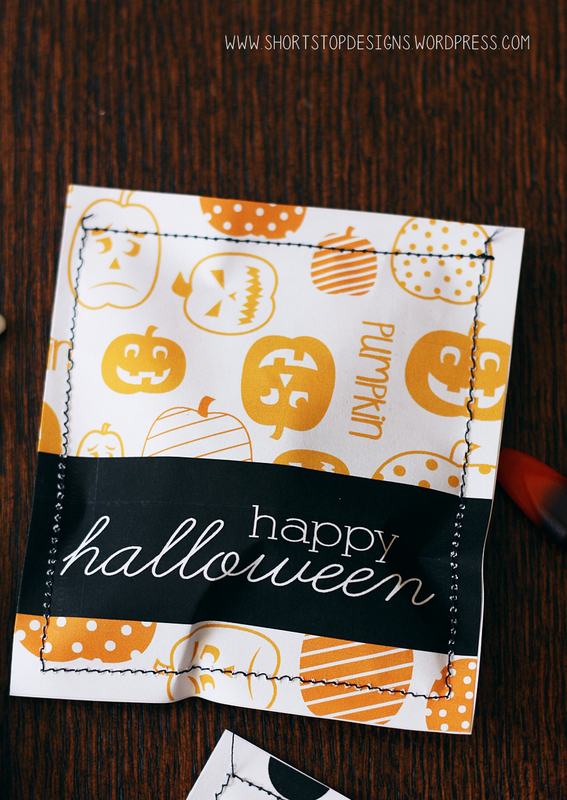 This makes it easier to sew without having to worry if the papers aren’t lined up. Sew 3 sides and leave the top open. 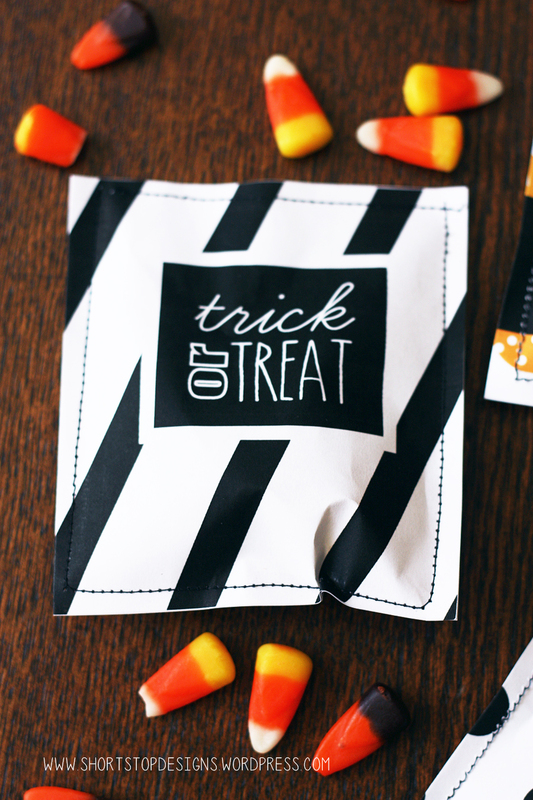 Insert your candy of choice. 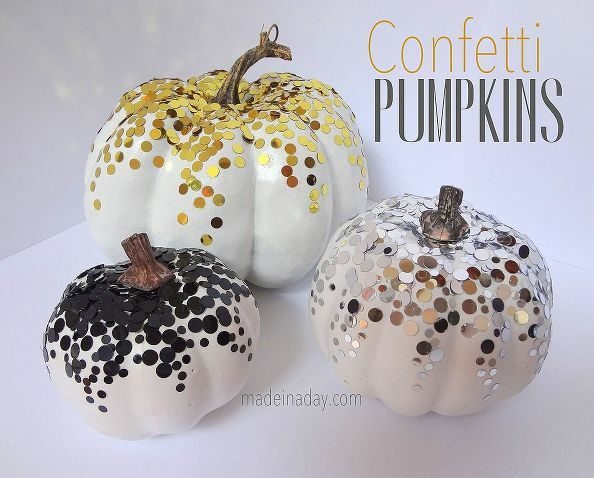 It’s best to use small candy with these, like candy corn, or 1-2 Hershey Nuggets, etc. These aren’t very big pouches. Sew the top closed and you’re done! 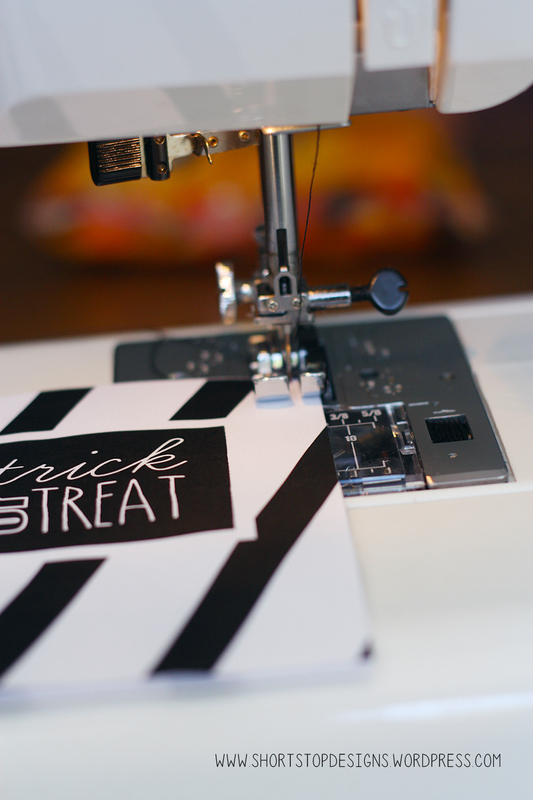 If you don’t have a sewing machine, you can staple the sides closed. 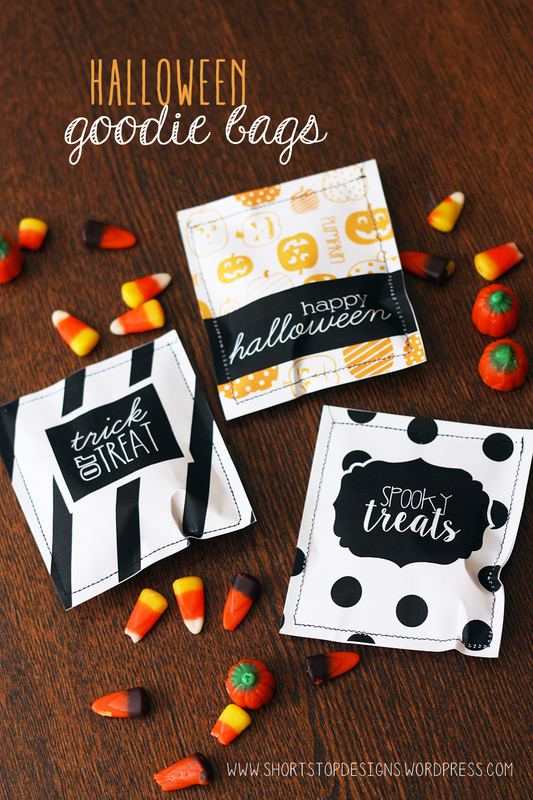 If you don’t want to sew or staple them shut, I’ve included the front of the goodie bags that you can cut out and paste onto a bag. 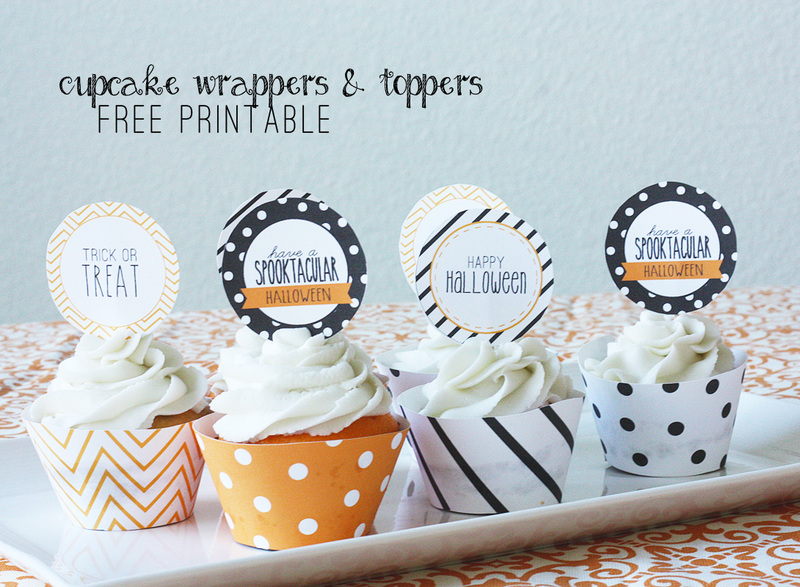 They’re perfect for any Halloween occasion, and your friends will love them! 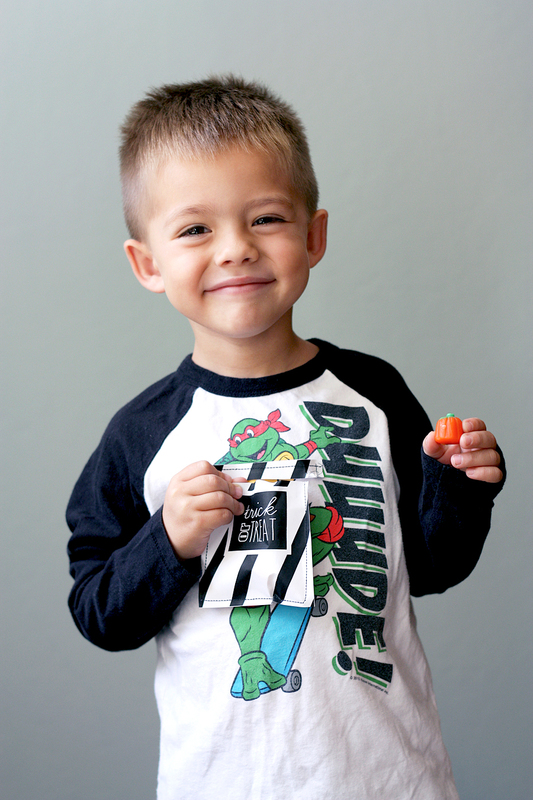 He was pretty happy to be eating candy. Danny was napping and missed out on the photo op! Hi! 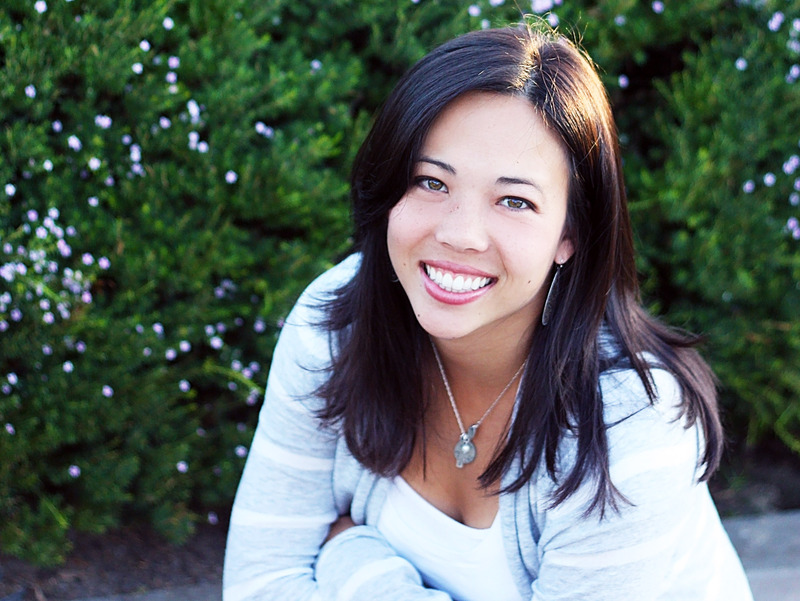 My name's Megan, and thanks for stopping by! 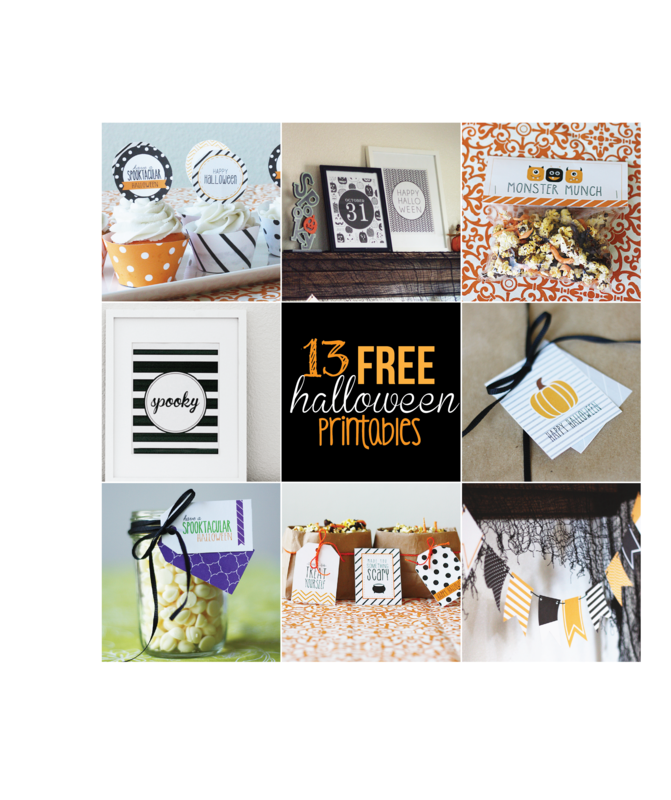 While you're here you'll find FREE Printables created by me and some of my favorites from other blogs. 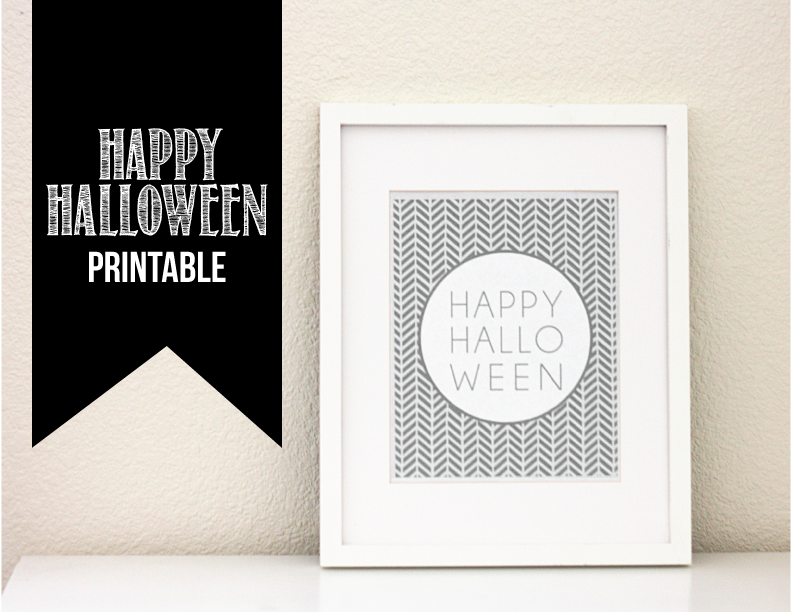 You'll find printables for wall art, holiday goodies, party printables, and more! If you have a request or need help with one of my designs, please feel free to let me know. I hope to see you back again soon!